Who on earth could this nest belong to? An eagle? An almighty condor? Maybe Dr Seuss’ Horton when he needs to sit on that egg? All Mamma knows, is that THIS nest is the largest one she has ever seen. Plus the twin green slides have to be the TALLEST we have ever slid down! 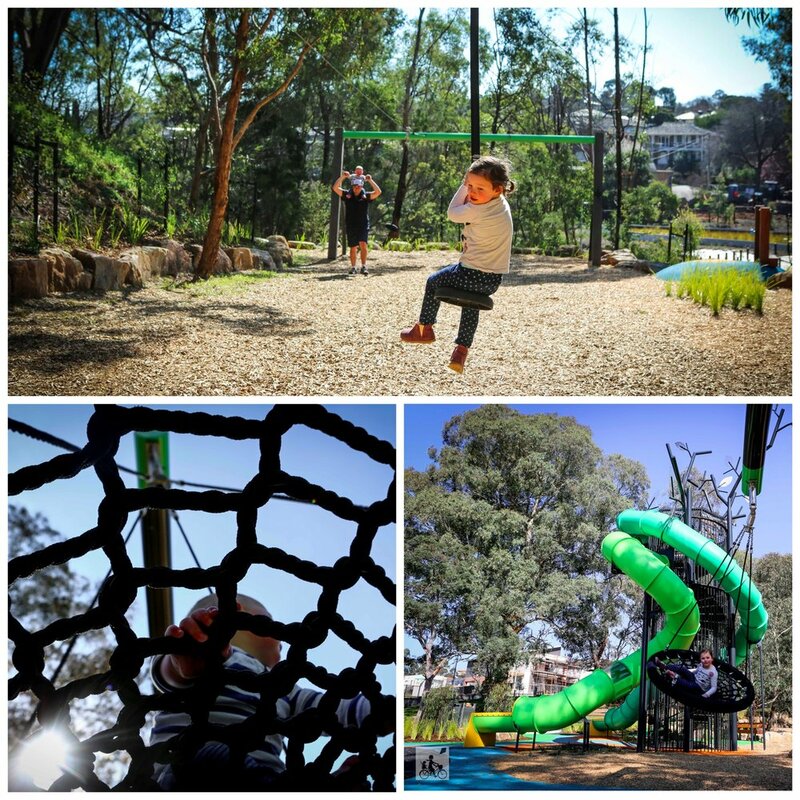 Verdant Park - the GREEN park - is the third playground instalment at the Tullamore Estate in Doncaster. Its pride and joy are those slides. Access is via an enclosed spiral staircase, that gives a pretty decent wobble on your ascent to the top. When you get there, choose from the light green tunnel with the skylights to your left, or climb the ladder to the tallest darker green slide. You will also find the hammock seat, speaker phone and beautiful views of the estate before the decent to the bottom again. At this pretty impressive playspace you will also find twin flying foxes, a basket swing, double-bouncy-spinner-thingo that probably has a technical name, plus picnic semi-shelter with a bbq. Mamma’s special mentions: If you are visiting the estate, you have to do a playground hop and experience them all. Heritage Boulevard Play Space is on the main street into the estate and is the best place to park the car. Then continue further up the hill to Phar Lap Drive Play Space. The trail at the base of the playground connects the three parks. You will find some active fitness equipment along the way too.